New information about Phantasy Star Online 2 ''Puso Ni Comi'' CD. Informations about new Merchandising and a Collabotation. Informations about the Phantasy Star Thanks Festa 2019. New informations of EPISODE 6. Last edited by Maiillson; Mar 3, 2019 at 11:12 PM. January 1st, jeez. Can't they catch a break? 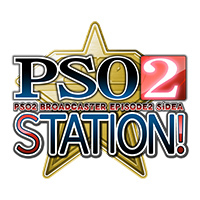 Next pso2 station is definitely not on Jan. 1st. I read very fast, sry. The date has been fixed. Hope for weaponoid, and design contest winners. Be there, or be square (or at work). looking forward to these too. Rosalinde's sword camo would be nice... and her outfits. Maybe they'll announce that they'll finally get an actual QA testing team for Ep6. Stella's rod camo is the one thing I've been keeping my fingers crossed for.